Toyota Yaris Interior, Sat Nav, Dashboard | What Car? All Yaris models have a height-adjustable driver’s seat, plus a steering wheel that adjusts in and out as well as up and down. Taller drivers may wish for more reach adjustment, though, and the high seating position may also cause such folk to catch the bottom of the steering wheel with their knees when getting in and out. The seats are nicely supportive, even on longer trips, although the Yaris makes do with a stepped lever to adjust the backrest, which is less precise than the wheel system used in rivals such as the Renault Clio and Volkswagen Polo. GR Sport trim gets even more figure hugging seats that hold you better in the bends yet still remain comfortable. The pedals are all nicely aligned with the steering wheel and the simple controls for the air-con and radio are all placed within easy view and reach of the driver. 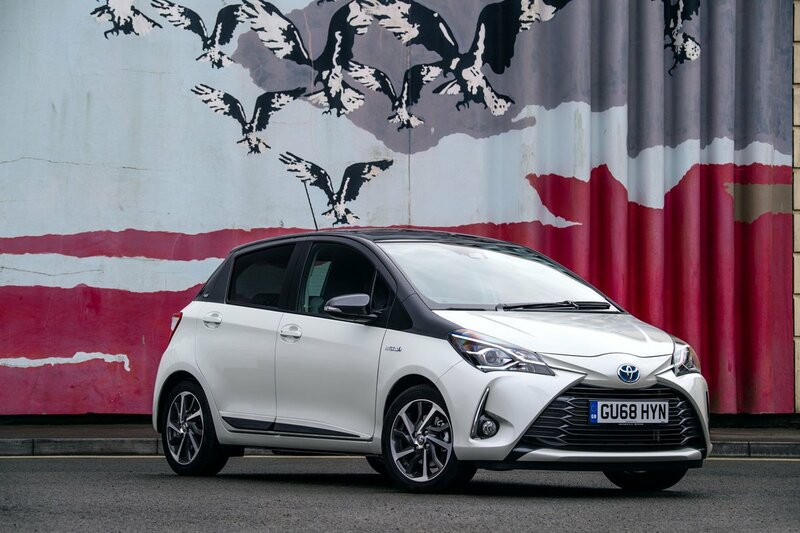 The Yaris’ design gives it an upright windscreen, big side windows and a decent rear screen, so it’s easy to see out of. None of the pillars is so thick that it blocks your view when parking or pulling out of a junction. For extra help while reversing, all but entry-level models have a rear view camera as standard. Front parking sensors come as standard from mid-range Icon Tech models, but an automatically dimming rear view mirror is only available on range-topping Excel cars. Icon versions and above come with a 4.2in TFT colour screen between the instruments and a 7.0in touchscreen infotainment system that reduces the number of buttons on the dash. The bigger screen is reasonably easy to use, with simple menus and clear (if rather small) icons. However, the system is a little slow to respond, the menus are unnecessarily complicated and the graphics aren’t that sharp. Disappointingly, the Yaris also doesn’t offer Apple CarPlay or Android Auto. 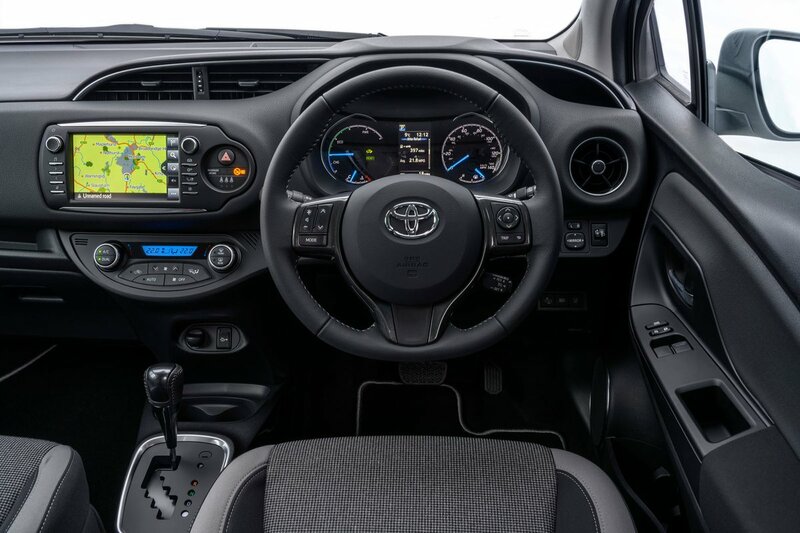 The Yaris comes with Bluetooth and the ability to stream music, plus a USB port and audio controls on the steering wheel. All models get a DAB radio and all but Icon Tech (which gets it as standard) can be upgraded to get an integrated sat-nav. Still, the screens on the Seat Ibiza and Skoda Fabia are a lot slicker and easier to use, with clearer, simpler menus. The Yaris benefits from soft-touch plastic inserts on the dash and doors, but there are still plenty of hard plastics on the dash. Some trims feel low-rent and the switchgear is hard and flimsy. 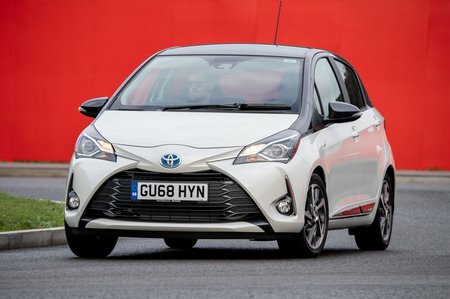 The Yaris is not as plush or nicely finished as its best rivals.